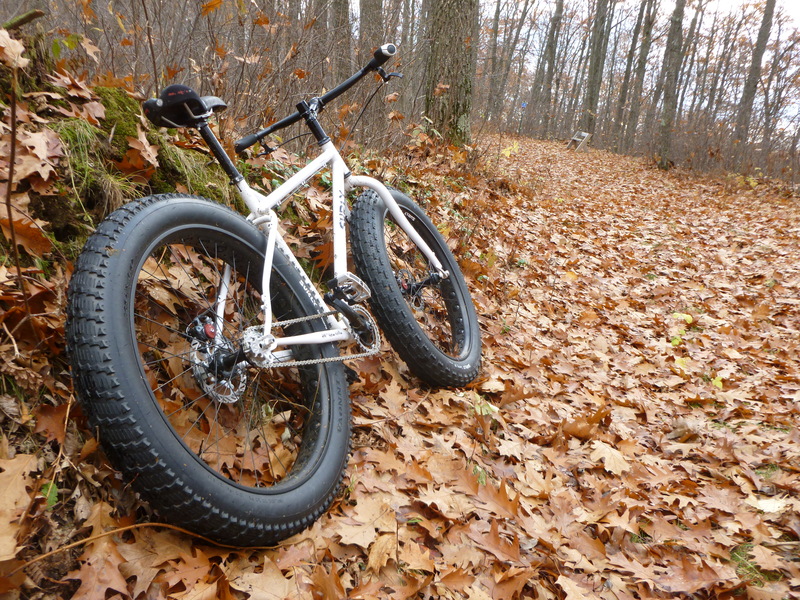 Production fat bikes have been around for ten years, it turns out. 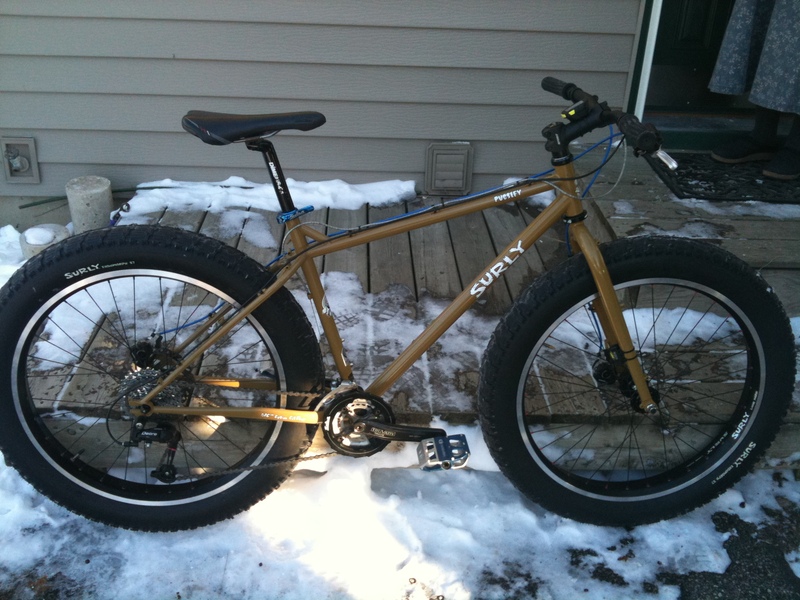 I bought my first Pugsley in 2010, rode it through out that year, and then sold it to a friend of a friend in 2011. 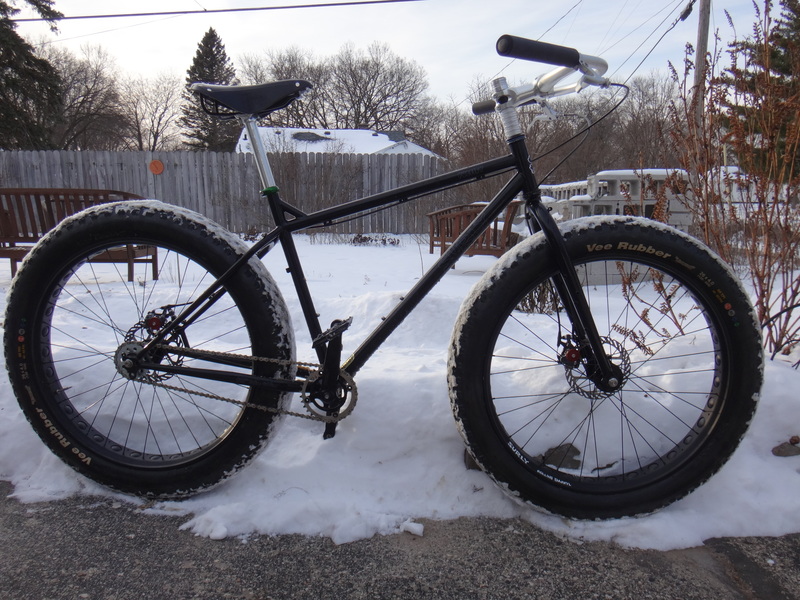 After going without a fat-bike for most of that summer, I bought my second Pugsley, known as the Ox. It started out single, is now geared, and may be single again some day soon. And then I built up another one a little over a year ago (after trading away a yellow Pugsley frameset and then buying a used black one). It’s fixed, going single. And wouldn’t you know…I’ve got a set of Clown Shoes waiting to become wheels, which will be the basis of the next one. Someday. Never enough fat, it would seem.